It was recently revealed that the One Direction heartthrob has proposed to the Little Mix singer. 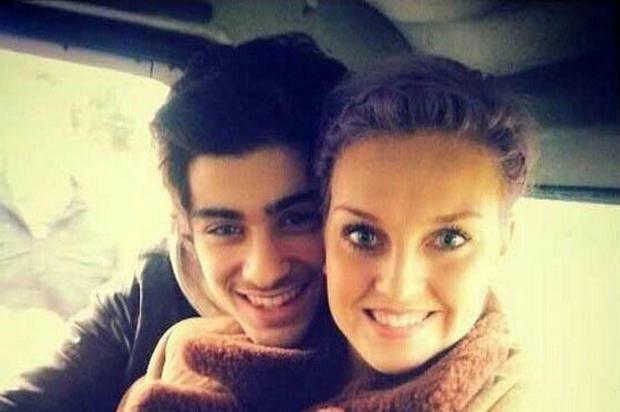 Zayn Malik and Perrie Edwards are reportedly considering a wedding that combines different religions. Perrie's wedding plans are said to be well underway, and she is taking both her and Zayn's religious backgrounds into account. "Zayn's mom Patricia, converted to Islam when she married Yaser [Zayn's dad], so Perrie's been asking about what this involves. She's hoping to talk over her plans with a priest and a Muslim officiant," an insider told British magazine Look. "She's even weighing up having a ceremony that combines both religions. She loves the idea of coming down the aisle to traditional Muslim music. Flowers blessed with rosewater play a big part in Islamic weddings and Perrie thinks she could work this into their day, too." The source added that Zayn is supportive of the idea of either having two weddings or mixing both religions into one super-ceremony. Zayn asked Perrie to marry him earlier this month during some downtime from his hectic promotional schedule for the One Direction movie This Is Us and their Take Me Home Tour. “It was so romantic - Zayn popped the question over the weekend when they were alone together,” a source previously revealed to British newspaper The Mirror.